She looks so much like my Stevie who passed two years ago. Very cute – and obviously sweet. 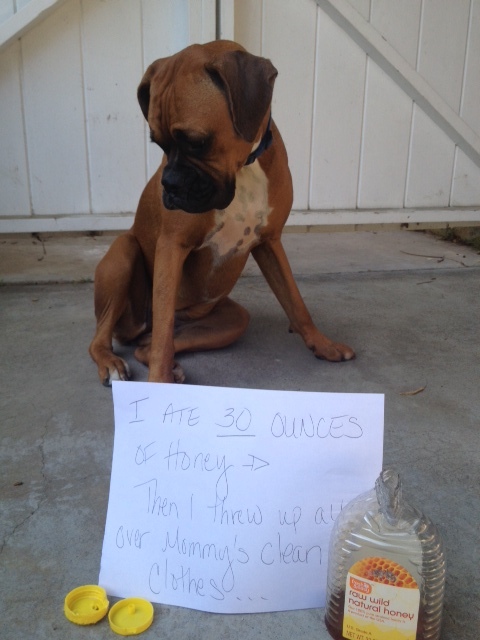 But it tasted sooooooooooo good mommy! Uh oh, here comes honey poo-poo! That has got to be difficult to throw up..
Oh dear, 30 oz. of honey? I’d have the ‘gollywobbles” until October! 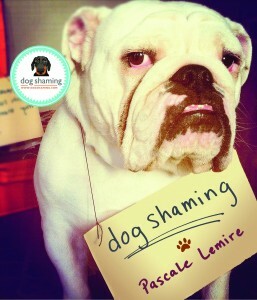 So glad doggy is only embarrassed and not ill.
That dog shaming sign is next! At least she/he has a nice soothed throat. I give my little guy a tablespoon of honey for his winter cough.